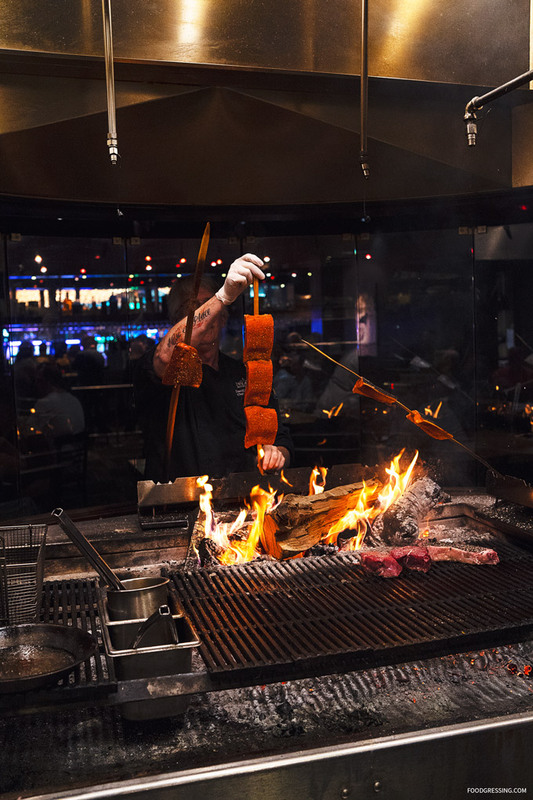 There is no shortage of dining experiences at Tulalip Resort Casino with 8 restaurants on site. 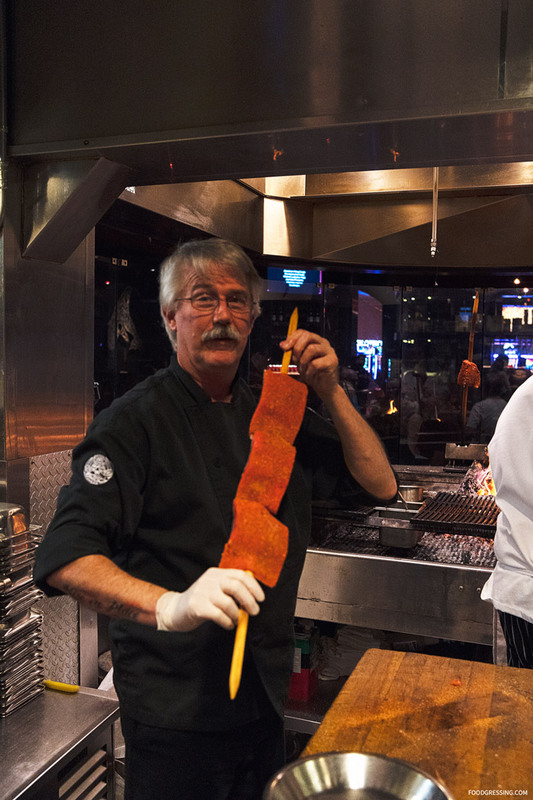 Blackfish is where you can joy a seafood-centric menu featuring regional Northwest ingredients and Tulalip tradition. 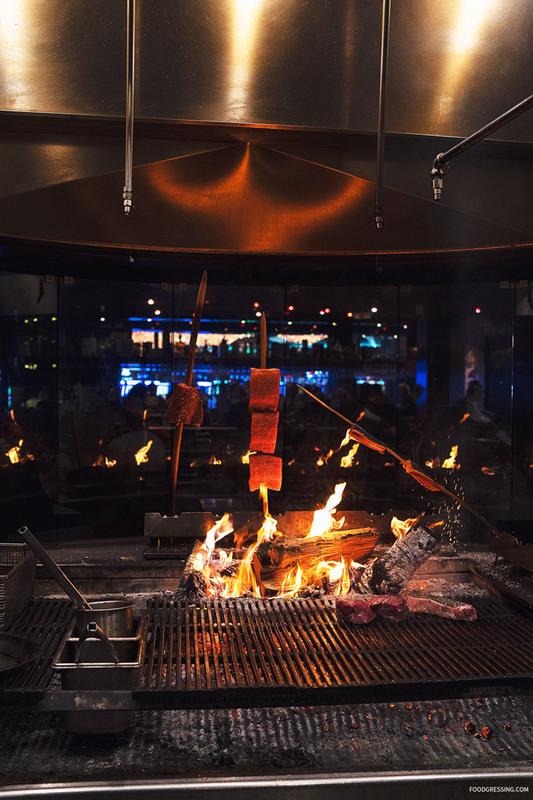 There you’ll find local oysters shucked to order, fresh caught fish and shellfish boards, to grilled steaks and chicken. Disclosure: I was on a press trip where my accommodation and activities were hosted. All opinions are my own. 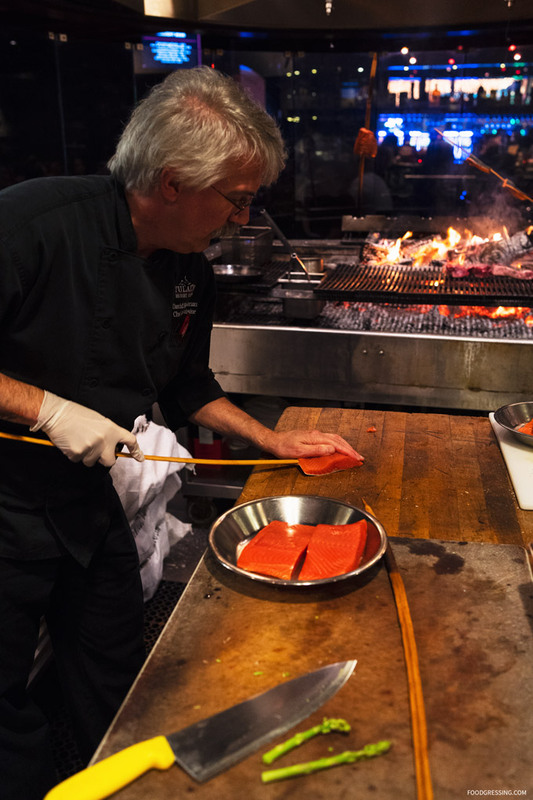 The salmon at Blackfish is uniquely prepared according to traditional Tulalip tribal techniques. 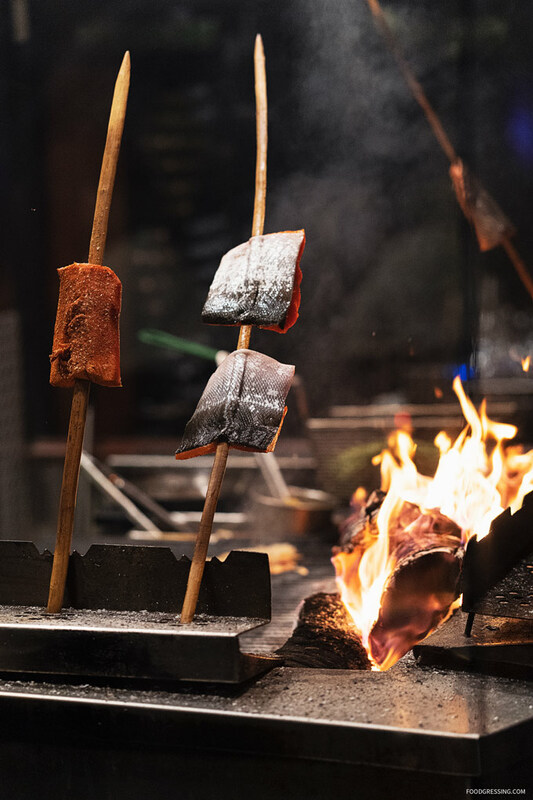 Chef David gave us a behind-the-scenes look at how salmon is skewered onto Ironwood spears and cooked over an open pit of alder wood coals. 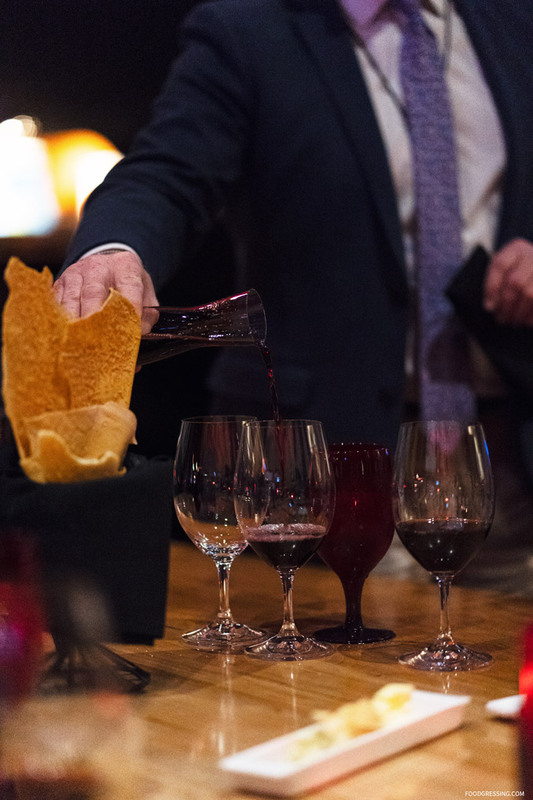 Tulalip Resort Casino’s award winning sommelier Tommy Thompson, complemented our multi-course dinner with delectable wine pairings. 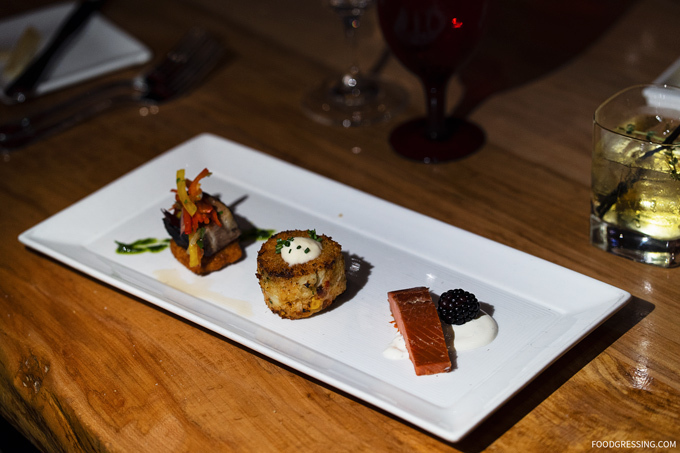 The dinner started with an appetizer trio featuring smoked pork belly, dungeness crab cake, and house-smoked salmon. 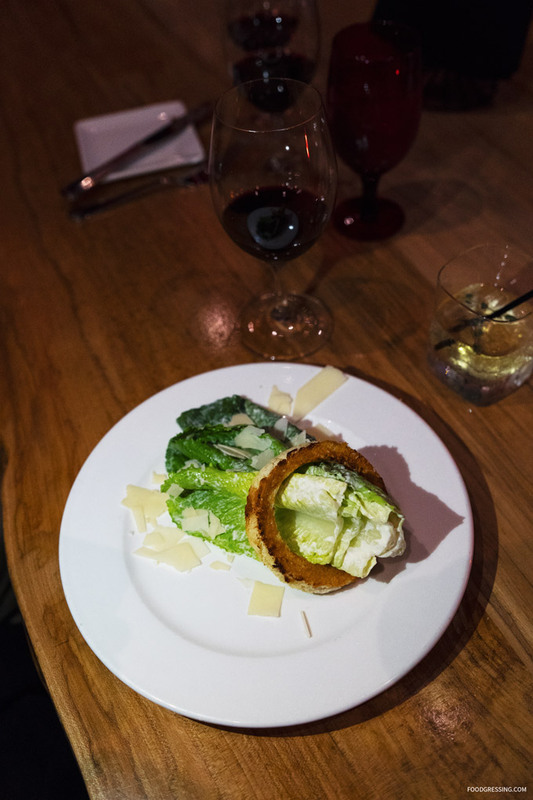 Next we enjoyed a romaine caesar salad with a roasted garlic crouton ring and shaved parmesan. 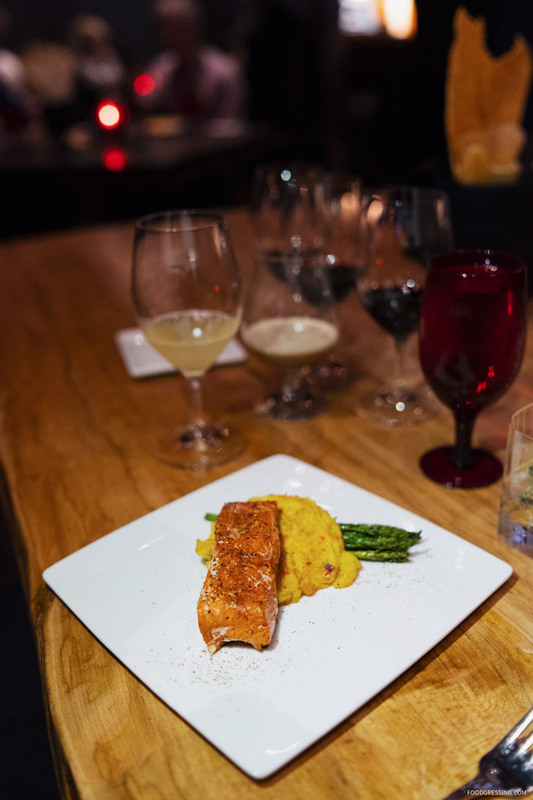 Our main entree was a Wild Alaskan sockeye salmon traditionally prepared, seasoned and roasted. 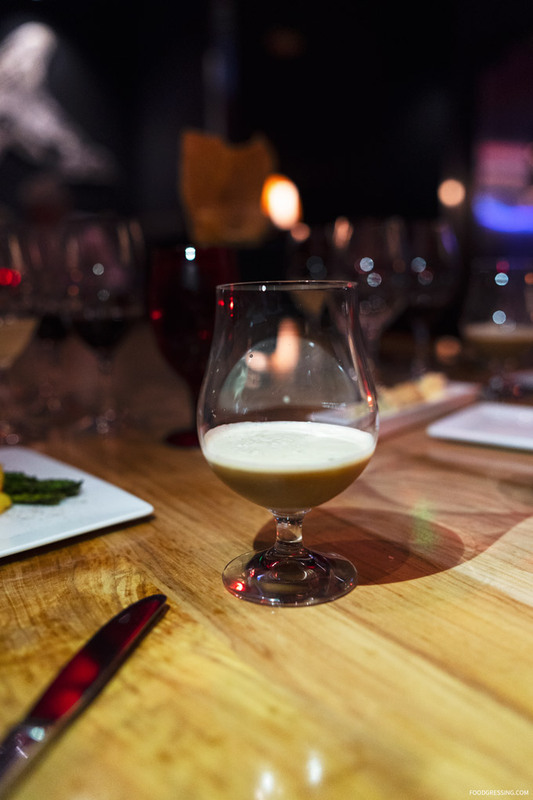 It was served with grilled asparagus spears and corn fritter cake. 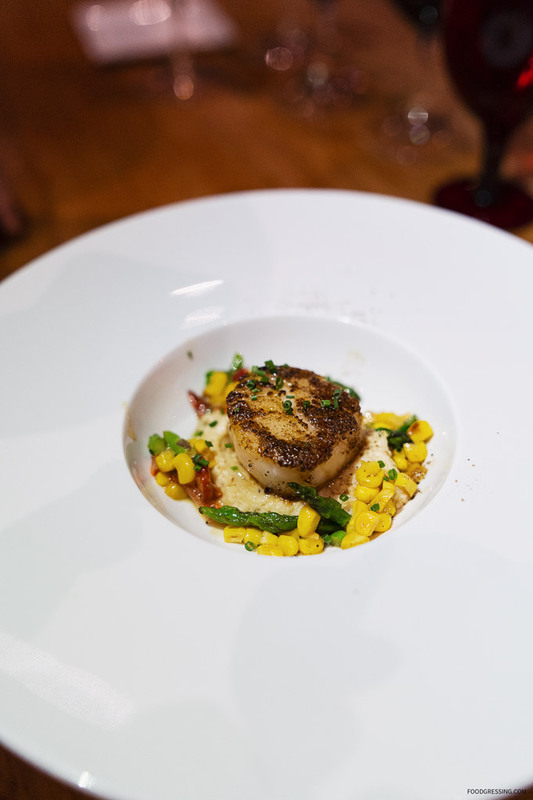 We also had a jumbo scallop lightly dusted in a porcini mushroom powder, seared and served over a cauliflower puree. The was accompanied with a roasted red pepper, corn and grilled asparagus succotash. Our sweet finale consisted of a variety of desserts. 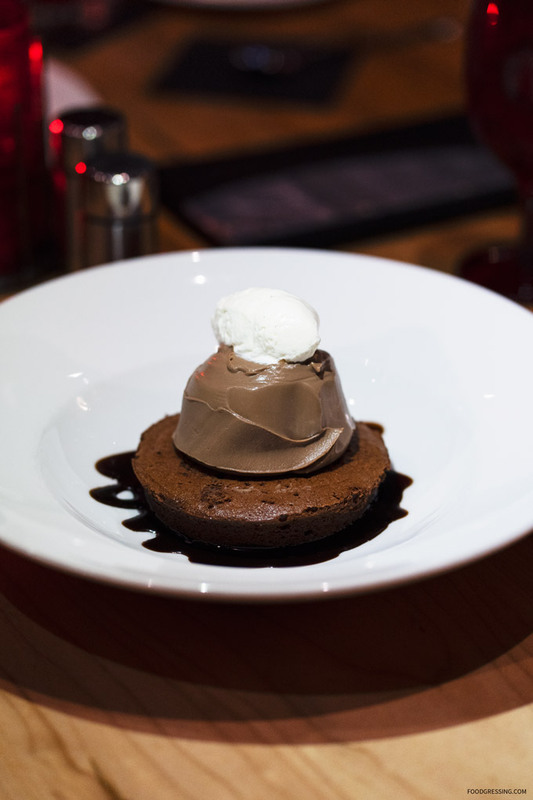 There was the Pudget Sound Sludge Pie – a baked chocolate mousse cake with espresso ice cream, chocolate pudding, whipped cream and chocolate sauce. 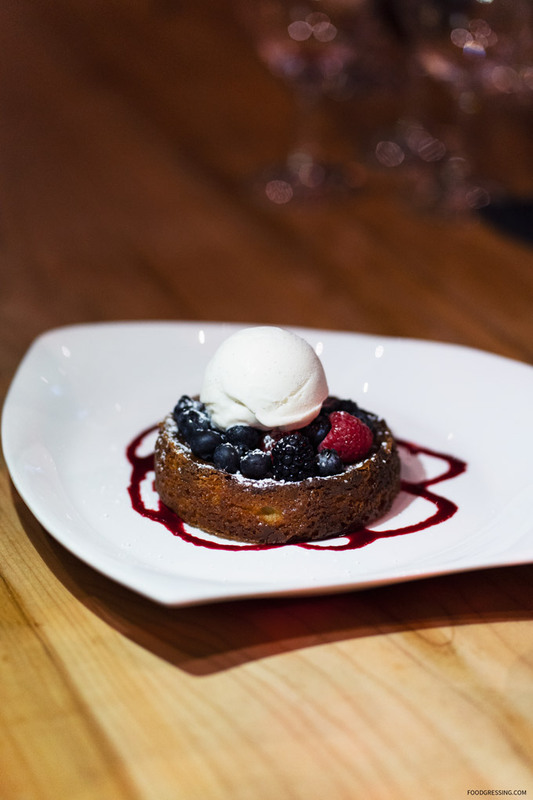 We also indulged in the Classic Warm Butter Cake, which was a rich and dense golden cake with berries and vanilla bean ice cream, finished with a triple berry sauce. I have more details on my trip to Tulalip Resort Casino! Follow foodgressing.com/category/usa/washington/tulalip/ for my other related posts.